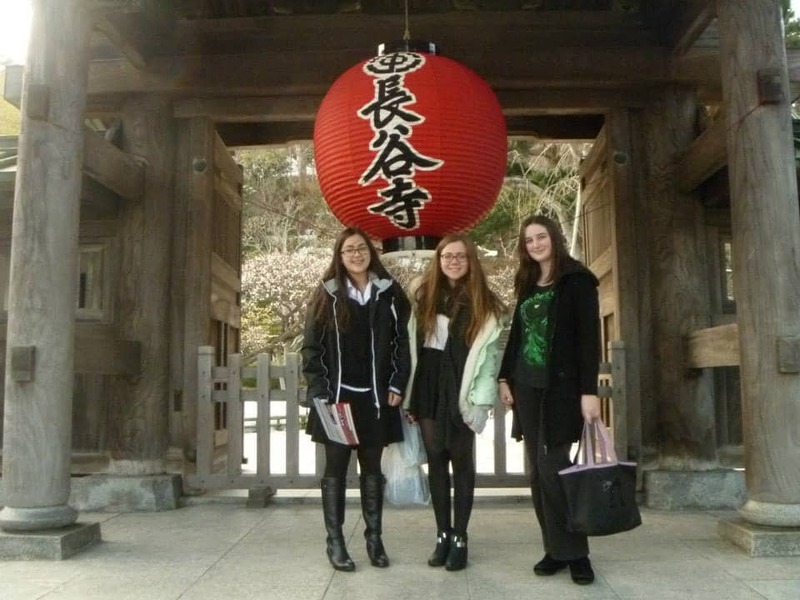 After already going on a Japanese exchange two years ago, having been too overwhelmed as a beginner to really learn anything more than ‘I like sushi’, I returned this summer during my post GCSE holidays to do a two week Japanese language course in Fukuoka. And wow did I learn a lot! Having already done a small language assessment test I was put in a small group of 8 beginners all at around the same level as me. I was able to keep up with the comfortable speed yet also come back from lessons everyday slightly overwhelmed by how much they’d managed to pack into the 4 hours of work (and chatting). My school also had pop and traditional culture courses that I hadn’t signed up to however I was able to pay a small fee to drop into a visit to a maid café and to experience a traditional tea ceremony that I loved. 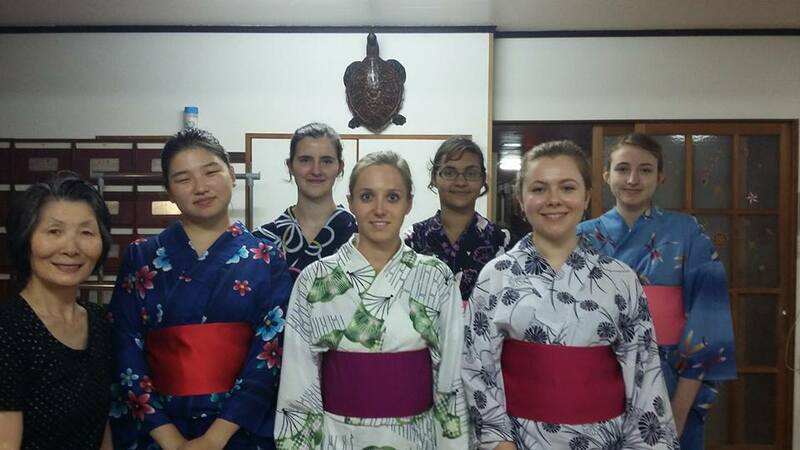 We all got to try on Yukatas and were taught step by step the formal art of making Matcha tea, which is much more complicated than it sounds! Then most days I would either go home to the dorm or hang out with my friends from my classes. I was the youngest of the group at 16 but everyone looked after me. On one of my last days we all went to Momochi beach (near Fukuoka tower) and had a great time. I still laugh when I see the photo we took with some random guy buried in the sand! The school had also just refurbished a building, including a large TV and a Wii play so other days I played on games (I still don’t know the name of) with other students at the school, as well as experiencing Fukuoka’s karaoke scene. After a long day I would come home to a warm cooked meal at my dorm made by the owner and eat with local high school students, young English teachers and other the school students who were all staying at the dorms for various reasons. People of all ages and nationalities were staying there but the fact that so many were Japanese meant that every day I came back and could practise what I’d learnt and maybe get them to sometimes help me with the homework. I absolutely couldn’t have organised it all without CESA as it was my first trip alone abroad and they made everything go so smoothly allowing me to have an amazing time. Unlike my first trip to Japan, being on a structured language course this time around and staying at a dorm with lots of locals allowed me to have a much more authentic experience, whilst still learning a lot and meeting so many amazing, kind people who I’m still in touch with.